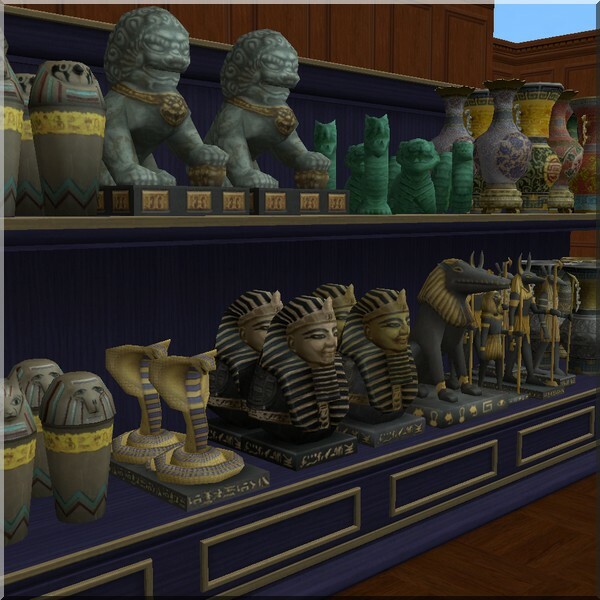 Someone asked me to convert the Egyptian relics from TS3 World Adventure to TS2. I decided to do better and to convert nearly all relics ! 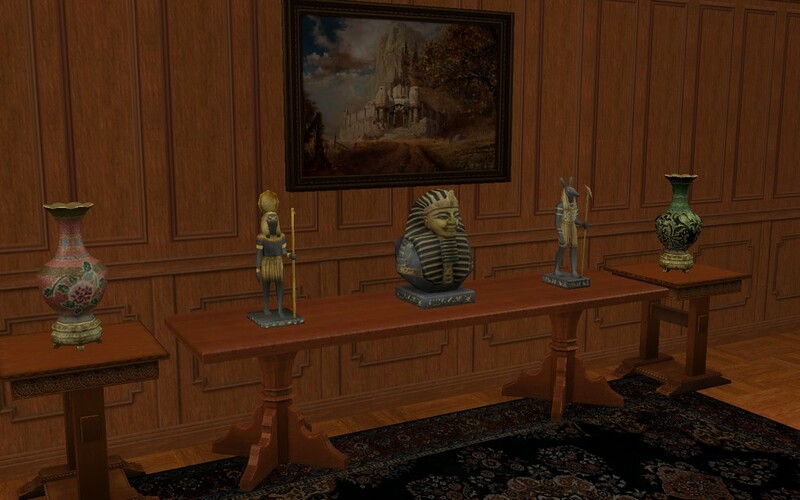 All these objects are recolourable and do not requiere any EP. 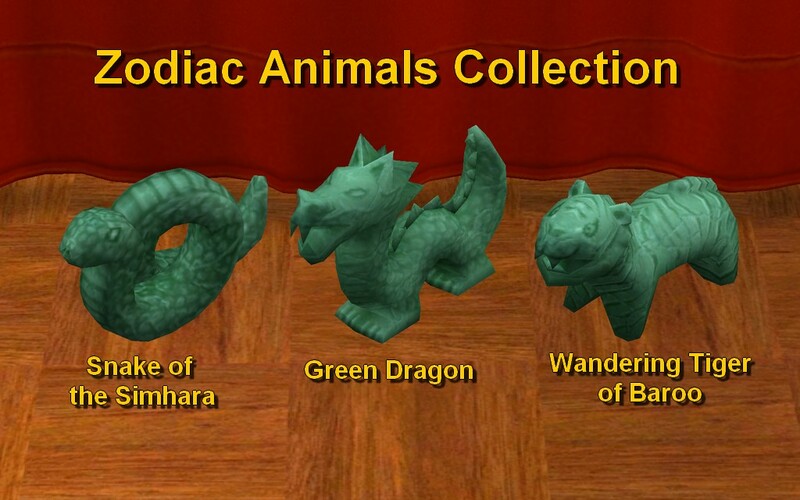 They can be found under the Decorative/Sculpture section of the catalog. Two items. They cost §500. 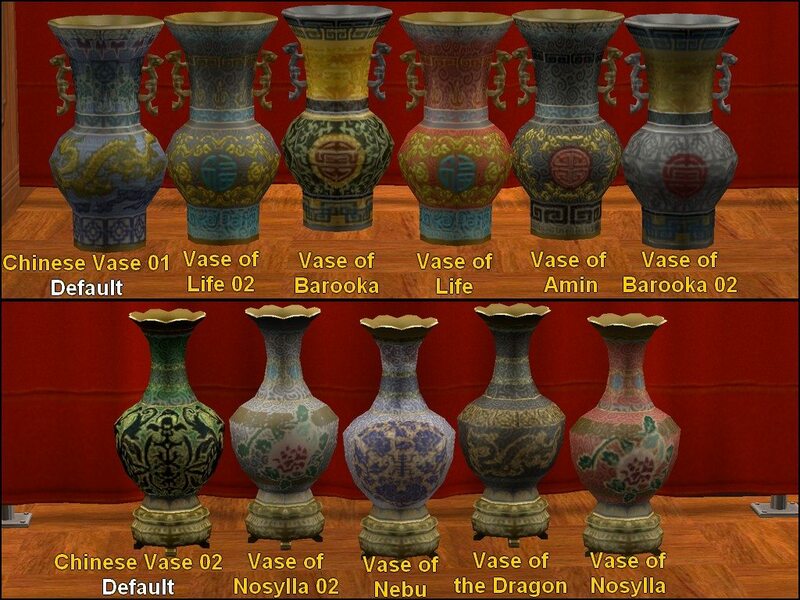 - Common Vase 01. Five recolors : blue-green, copper, gold, red and silver. The default color is blue. 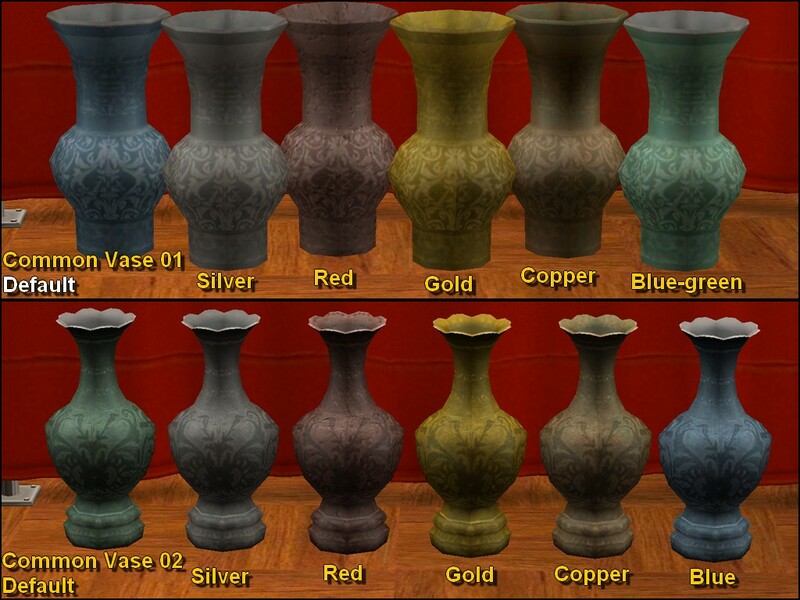 - Common Vase 02. Five recolors : blue, copper, gold, red and silver. The default color is blue-green. Five items. 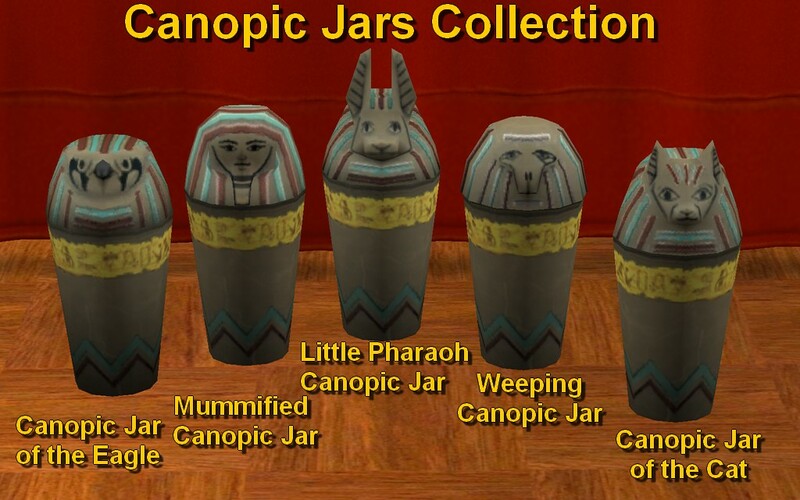 They cost §900. Two items. They cost §800. - Chinese Vase 01. 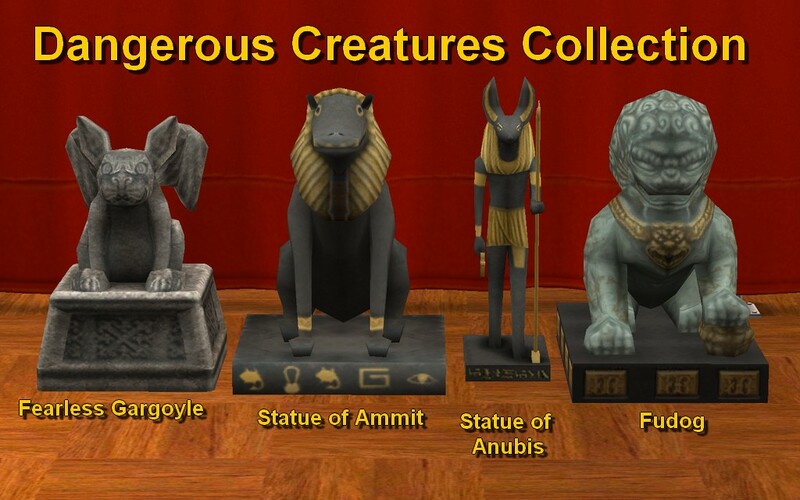 Five recolors : Amin, Barooka, Barooka 02, Life and Life 02. The default texture is Maroof (blue with gold dragon). - Chinese Vase 02. Four recolors : Dragon, Nebu, Nesylla and Nesylla 02. The default texture is Empress (the green one). Four items. They cost §4,000. Four items. They cost §2,500. 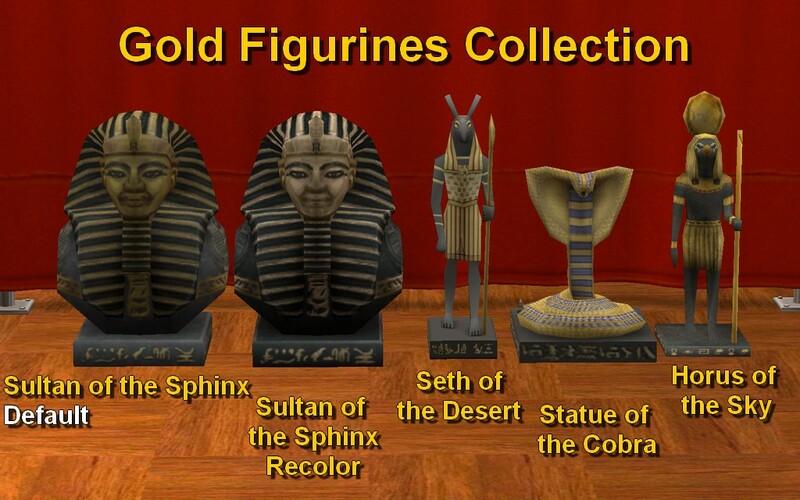 - Sultan of the Sphinx. One recolor available. Three items. They cost §3,000. 1753 people have said thanks to TheJim07 for this download.